Freelance writer Olan Ahern, introduces us to ASOS' Green Room, which I must admit, I was not aware of until now. In the last couple of years, sustainable fashion has gone from being a rather droll topic to becoming hot news. With the power of the eco warrior becoming the new cool. 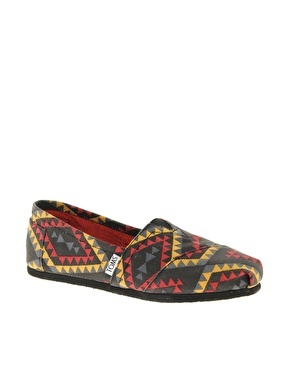 The high streets are recognizing that there is a consumer demand for eco-friendly trendy fashion. It is true that products can be designed to add value throughout the chain, and give benefits to the consumer, the producer and the brand - through sustainability. One of the brands that really have understood the complexity of sustainable fashion is the internet based company ASOS. In 2010 they went the extra mile and launched the “Green Room”, showcasing a wide range of sustainable fashion labels. This made it easy for the caution-minded consumers to make eco-friendly decisions when shopping for clothes. Today the consumer can choose from more than 70 brands listed in the Green Room. These include pieces from top designers in the UK, Europe and Africa, showing that eco-friendly fashion is now a worldwide epidemic. People Tree, Edun and Gloverall are to name but a few top brands who are transforming the fashion landscape by celebrating both beauty and ethical change. Other brands have taken a charitable approach. 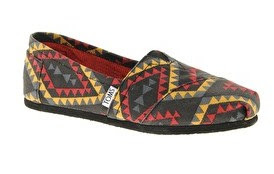 Take Shoe designers TOMS who have adopted the ‘one for one’ model, for every pair of ‘Eco TOMS’ purchased a pair is given to a child in need. 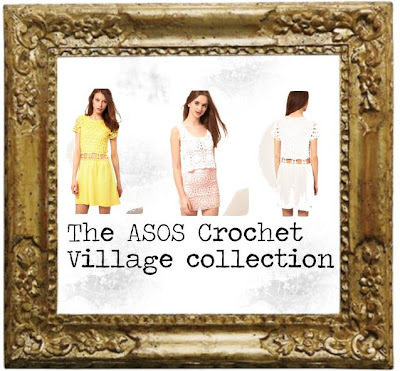 One of the collections showcased in the green room is the ASOS Crochet Village collection. Underprivileged women in Bangladesh, get their opportunity to use showcase their craftsmanship this results in stunning crafted dresses, skirts and tops, all which off course are made under ethical guidelines. These dresses are available from the ASOS store. Take a look here (yellow dress), here (skirt) and here (white dress). In addition, take advantage of the free shipping offer to Australia, and 10 % student discount if this applies to you. It is interesting to see an online-only fashion outlet, predominantly known for its discounted high street and designer clothing, expanding its horizons to cover pre-loved (ASOS marketplace) and now offering a range of eco-friendly, ethical fashion too. I like ASOS and did not know about the Green Room - thanks for this! Thanks so much for sharing the Green Room with us. I had never heard about it until now. Really great to see powerful fashion distributors, like ASOS, getting behind sustainable fashion! I sometimes buy from Peopletree online but didn't know about the Green Room! It's fantastic that so many brands are becoming more socially responsible. The only problem is that I used to be able to curb my spending by telling myself "I can't buy it, it's not ethically made". Now I'm going to have to learn to be more restrained with my purchases so as not to break the bank!